A variety of engaging videos, lectures, posters, and classroom activities to teach key concepts related to extinctions past and present. Alison N Hale onto Additional resources for teaching "Staying Alive"
Paper in Conservation Biology that conducts an interesting thought experiment - what if all conservation efforts for ungulates had ended in the year 1996? 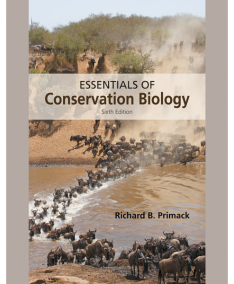 Could complement this module nicely by showing the effectiveness of conservation management in mitigating extinction. PanTHERIA is a global species-level data set of key life-history, ecological and geographical traits of all known extant and recently extinct mammals compiled from the literature. It also includes spatial databases of mammalian geographic ranges and global climatic and anthropogenic variables. Kristine Grayson onto Additional resources for teaching "Staying Alive"
Chapter 8 of this book is entitled "Vulnerability to Extinction". It identifies several characteristics of extinction-prone species. I think this could make a good assigned reading for students to prep them before coming into class. As part of the extinction module, students can use the R Shiny app Radiant to explore and visualize the data. Radiant also has a unique and useful feature for instructors: the ability to automatically generate a report of student workflow. This allows faculty to follow students' exploration of the data and decision-making processes. The attached handout (Copy of Student Handout 5) contains the updated instructions for running Radiant on the QUBESHub website and generating a workflow report. Arietta Fleming-Davies onto Additional resources for teaching "Staying Alive"
Atteh Akoto onto Additional resources for teaching "Staying Alive"
Half of all artiodactyls (even-toed hoofed mammals) are threatened with extinction, around double the mammalian average. Here, using a complete species-level phylogeny, we construct a multivariate model to assess for the first time which intrinsic (biological) and extrinsic (anthropogenic and environmental) factors influence variation in extinction risk in artiodactyls. Globally artiodactyls at greatest risk live in economically less developed areas, have older weaning ages and smaller geographical ranges. Our findings suggest that identifying predictors of threat is complicated by interactions between both biological and anthropogenic factors, resulting in differential responses to threatening processes. Artiodactyl species that experience unregulated hunting live in significantly less economically developed areas than those that are not hunted; however, hunted species are more susceptible to extinction if they have slower reproductive rates (older weaning ages). In contrast, risk in non-hunted artiodactyls is unrelated to reproductive rate and more closely associated with the economic development of the region in which they live. Price SA, Gittleman JL (2007) Hunting to extinction: biology and regional economy influence extinction risk and the impact of hunting in artiodactyls. Proceedings of the Royal Society B 274: 1845-1851.